Brandon Turbeville: Nationalize the Federal Reserve! Ending the Fed, however, while sounding euphonious and clever, would nonetheless be a disastrous policy for the United States and the American people as it would immediately usher in an age of austerity while doing absolutely nothing to reduce the amount of control private bankers and the cartel masquerading as the national bank currently have over the U.S. Federal government. Simply ending the fed would, in one fell swoop, eliminate the “buyer of last resort” option for US national debt and cause the collapse of the American economy. In addition, although the Federal Reserve does not currently serve in its proper function as provider of credit and funding for the US government, ending the Fed will eliminate a major source of funding, leaving taxation as the only method of income. If the Federal government wishes to borrow money, outside of printing more of it and throwing itself into an inflationary spiral, it will then be forced to borrow directly from Wall Street, the very same money lenders who will immediately regain control over the issuance of currency, the amount in circulation, and economic cycles. Thus, before the offices of the Federal Reserve board are cleaned out, private bankers will have already regained control over the operation of the government as a whole. Thus, it is not wise in any real sense so much as it is possible to end the Federal Reserve system nor is it likely that one would gain any element of true populism by simply demanding that we “End the Fed,” particularly due to the age of austerity and the parallel banker control that would inevitably result from such a policy. It is imperative to offer legitimate solutions and a clear way forward when making a political demand. Although the specific manner in which the Federal Reserve is nationalized should not be the main focus of the action and demand to do so, there are two possible ways that such an undertaking could be accomplished. The first, and most desirable, is the passage of a law by Congress which nationalizes the Federal Reserve under the U.S. Department of the Treasury. This method is the best case scenario as it demonstrates Congressional will, common agreement, and process legitimization. However, in the absence of Congressional will, there exists the forceful act of the Executive. Essentially, it is entirely possible for the Federal Reserve to be de facto nationalized by a simple Presidential phone call to the Chairman of the Fed demanding specific lines of credit for specific purposes with clear repercussions if these demands are not met. Although a full law would be the ideal circumstance for the reconquering of American monetary policy by those to whom it rightfully belongs, any and all means available can and should be used. 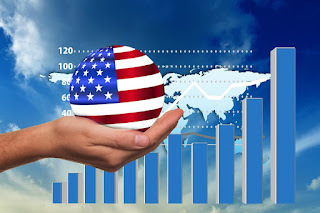 Essentially, there are three different types of economic stimulus which involve government spending – Hot money (money printing, quantitative easing, etc. ), on-budget spending, and credit stimulus. It should be noted that Austrian school economics proponents may attempt to argue that their own version of economic stimulus (meaning austerity) may jumpstart a recovery with no government spending at all. This idea involves mass liquidation, deflation, and budget cutting. However, considering the history of Austrian school economics and its proven failures in that regard, Austrian school economics stand as antithetical to a modern prosperous society and leave a trail of poverty, destruction, malnutrition, and stagnation in its wake. Thus, Austrian school economics will not be addressed in this article as a legitimate source of an economic recovery in this article. A third method of stimulus, however, is much more capable of creating an economic recovery. This is the method referred to as credit stimulus. Credit stimulus, provided it is conducted by a nationalized central bank, is capable of jumpstarting a recovery due to the fact that it does not involve simply printing money and spending it into circulation nor does it involve the creation of debt to private banks. Credit stimulus issued by a national bank would not create a culture of unsupportable debt because the debt itself would be held by an arm of the Federal government, an unlikely source of foreclosure against the Federal, State, or local governments in the event of lack of repayment, an unlikely circumstance to begin with. Indeed, trillions of dollars worth of credit was issued to Wall Street during the course of the 2008 housing crisis. If credit from the Federal Reserve and the U.S. Treasury was good enough for Wall Street, it is good enough for Main Street. This, then, is the method which should be selected to jumpstart an economic recovery after having nationalized the Federal Reserve. In addition, the innovation and leadership in regards to scientific progress in which America once dominated is a feature that no longer appears to exist domestically. In infrastructure, education, science, medicine, and real economic activity (productivity), the United States is nothing more than a shell of its former self. Yet this does not have to be the case nor does it have to be the future for America. A nationalized Federal Reserve, particularly together with a 1% Wall Street Sales Tax to eliminate Federal, State, and local budget deficits as well as fully finance the social safety net, education, and a true program of universal healthcare, would be a tremendous step forward in creating an environment of virtually full employment. For this reason, Credit Stimulus can and should be used to jumpstart a recovery first by means of repairing existing infrastructure and building new infrastructural systems as will fit the needs of modern America. This should be accomplished by a nationalized Federal Reserve acting as a truly state-owned central bank buying up the bonds of states, regional projects, and local governments for the specific purposes of rebuilding subway systems, highway systems, water treatment facilities, railway systems (freight and passenger), bridges, electricity and power production facilities, canals, ports, sewage systems, telecommunications, libraries, hospitals, schools, public and government buildings, as well as other relevant aspects of infrastructure. While it is true that the implementation of the 1% Wall Street Sales Tax or the Nationalization of the Federal Reserve is not the ultimate goal of any resistance or revolution in and of itself, both policies would rank as one of the major efforts needed to break the power of private bankers over the general public and as one of the main efforts toward rebuilding a working economy built upon production and human progress. It is also true that power concedes nothing without a demand. Unfortunately, the American people, activists, and the alternative media are fast approaching a time that demands must be made if there will be any hope of success. No matter how important other issues may be to us - whether they be privacy, civil liberties, the environment, or war and peace - it is well -understood that the majority of the general public in any country can only be rallied when the issues they face involve the amount of money they make and the amount of food they eat. The cause of nationalizing the Federal Reserve is a cause that affects virtually every other issue of concern held by activist communities because it affects one of the most powerful tentacles of the ruling elite – the control and influence wielded by Wall Street over the vast population. There is no doubt that it affects the very basic economic concerns held by the average American. Much of the impetus behind the program and list of demands contained in this article were inspired by the work undertaken by Webster Griffin Tarpley whose book, Surviving The Cataclsym: Your Guide Through The Worst Financial Crisis In Human History is an indispensable guide to understanding the current economic situation in the United States and the solutions needed to fix it. Likewise, an organization having arisen out of this same mode of thought, the United Front Against Austerity, has been instrumental in providing legitimate solutions in terms of the American economic crisis. American political scene. The Tax Wall Street Party is an attempt to provide a true alternative to the current corrupt and illegitimate political paradigm of Democrats and Republicans. The Tax Wall Street Party can be found at TaxWallStreetParty.org. Their program can be found here.